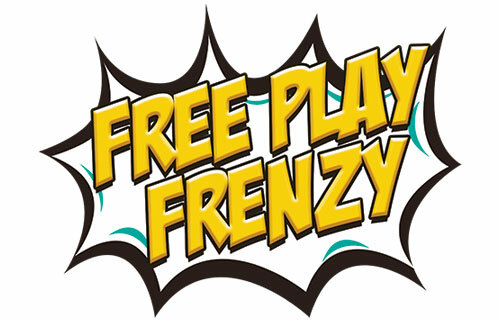 Join us every Friday and Sunday for Free Play Frenzy. Friday's from 6:00 PM - 9:00 PM and Sunday's from 2:00 PM - 5:00 PM there will be hot seat drawings two times per hour for $100 in free play! All you have to do is show up and be playing with your players club card. See player's club for more details.